Detail from 200-year-old the Dragon and Phoenix Bakshaish carpet. As I begin to write I become, once again, immersed in the 200-year-old Persian Bakshaish “Dragon and Phoenix” carpet that hangs on the wall above my desk. The rug, which I fell in love with some 40 years ago, remains completely beguiling. That it’s attracting my attention right now, as I gather my thoughts about the burgeoning trend of hanging rugs on the wall as art, seems particularly timely.  The Oriental rug world has evolved dramatically since I started my business in 1980. Then, almost all dealers viewed antique rugs merely as elite decorative furnishings. Over three decades later we are witnessing a tremendous change in the perception of the best antique Oriental rugs. Beginning in 2011, we saw a dramatically increased interest in putting noteworthy antique rugs not only on the floor, but also on the wall alongside paintings. While for years most of my clients could not visualize my suggestions of hanging rugs on walls as art, those who did found the effect enchanting. Today, some clients are even extending this by displaying their rugs under glass on tabletops, or draping them over stair railings and sofa backs. 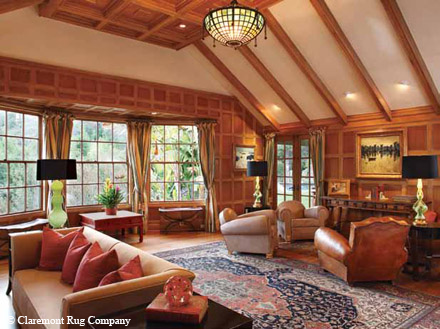 Historically, Oriental rugs served as confirmation of one’s status and level of refinement. Since Marco Polo introduced them to Europe at the end of the 13th Century, rug enthusiasts have ranged from queens and emperors to corporate titans and Silicon Valley entrepreneurs. But for the most part, their true merit has been overshadowed in the Western world by the idea that something walked on is something less valued, at best more craft than art. “Under foot” equaled under-appreciated. So what explains this transformation of attitude among collectors? My view is that it stems from a confluence of factors. The recent attention given to these “portable monuments,” as the New York Times called them (10/27/11), is already having an enormous influence on the interest in, and steadily increasing value of, these weavings in today’s market. Long “under the radar,” they’re finally emerging to take their proud place alongside traditionally recognized artworks. 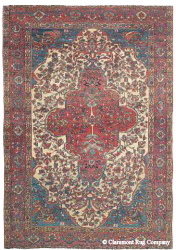 Although museums such as the Metropolitan Museum of Art in New York, the J. Paul Getty Museum in Los Angeles and The Museum of Islamic Art in Qatar are actively acquiring major historical carpets, the best art-level rugs from circa 1800-1900, the “Second Golden Age” of Oriental rug weaving, can still be found in private homes. The art value of pieces from this era can be seen in purchases such as a Caucasian Chelaberd “Eagle Kazak,” measuring 4×7, selling for $341,625, over 13 times its $25,000 high estimate at Freeman’s Auction in Philadelphia. Numerous connoisseurs are building major collections of art-level 19th Century oriental rugs, storing pieces that are not on display in dedicated chests or rug vaults. They consistently note the tremendous “staying power” of elite rugs and often emphasize that over time, one becomes ever more enthralled, discovering the myriad individually rendered designs and nuances of color the weavers employed to create a unique vision of balance and harmony. 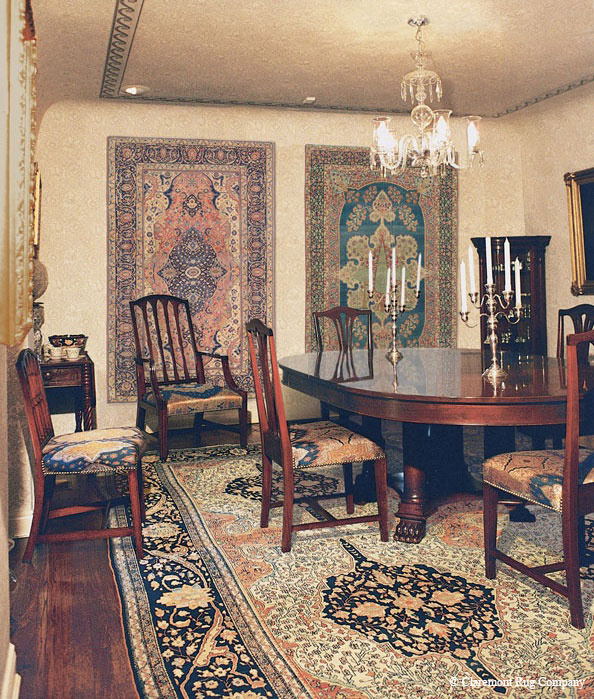 Extremely rare ivory ground South Persian Qashqai rug (left) and Afshar (right) are the wall art of this client’s breakfast room, where they can enjoy the many nuances of color and design in these masterpiece Oriental carpets. They are complemented by the soft hues of an antique Malayer Camelhair carpet under the table. A trend I have witnessed during the past 40 years is dramatically escalating at this time. 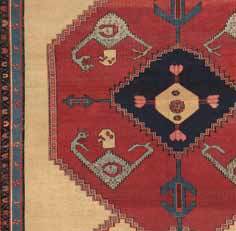 While there is still a supply of 19th century decorative-level carpets on the international market, art-level antique rugs typically become available only when families divest long-held collections. A result of the recent increased exposure is that art-level pieces are disappearing much more rapidly as established collectors purchase more ambitiously and younger aficionados strive toward higher-level pieces. I firmly believe that the art-level rugs occasionally found today will not be available to the next generation at any price. Ferahan Sarouk 3ft. 6in. x 4ft. 10in. | 3rd quarter, 19th century This small art-level rug’s exquisite medallion and fascinating variety of flower forms would be equally spectacular when hung on a wall or used in a number of possible applications on the floor. Striking in its combination of a rarely seen, radiant French blue field, extremely clear articulation of design, and an assured use a asymmetry, this virtuoso piece holds great interest for the seasoned art collector either as wall art or used on the floor. 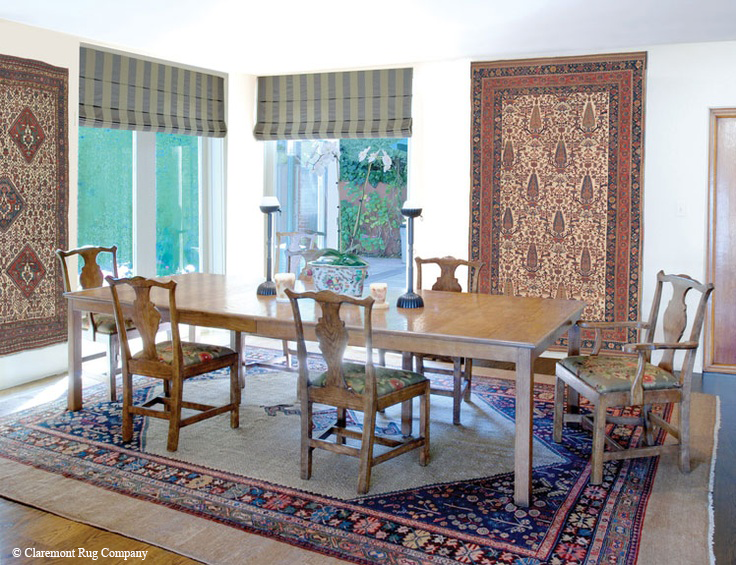 There are several advantages to displaying antique Oriental rugs vertically. It literally “elevates” the rug’s accessibility; when examined from a distance of only a few inches, the rug’s subtle color shadings and imaginative patterns can be explored more intimately. Unlike many canvases, the finest vertically displayed antique rugs have a deeply satisfying impact when viewed at close range, or from across the room. Displaying antique rugs on the wall also allows them to interplay with the furniture, architectural details and especially other works of art in the room. I have always found art-level rugs to be “great unifiers.” Many who collect other art forms extol the merits of adding great antique carpets to rooms that showcase their art collections, recognizing how harmonious the ensemble becomes. Certain types of 19th century rugs are experiencing an upsurge of attention for vertical display. Particularly favored are antique Caucasian tribal rugs because of their extraordinarily graphic, elemental designs and primary colors. Art-level Caucasian rugs marry extremely well with contemporary and postmodern decors. Many clients with more traditional decors hang classical Persian rugs with intricate floral designs, exquisite color shifts and a significantly tighter weave. Formal styles they consistently favor for vertical display include 19th century Persian Laver Kirmans, Hadji Jallili (Haji Jalili) Tabrizs and Ferahan Sarouks. In this historical farmhouse in the California countryside, museum-level rugs on the wall and floor are combined with early American furniture to create a sublime atmosphere. My longtime research indicates that magnificent rugs, from the regions of Persia, the Caucasus Mountains and Turkey have impacted much of Western art. Rugs are portrayed in Renaissance paintings such as those by Holbein and Memling, and their influence in 19th and 20th Century Western art touches everything from the large, bold blocks of color found in Matisse and the Fauves and Gauguin to the power and resonance of abstract shapes in Kandinsky and Klee. Given the often prohibitive cost of major paintings, lithographs and sculpture, coupled with a continuing unpredictable economy, today’s investors are pulling funds out of the stock market and other traditional portfolio venues and re-investing them in precious tangibles that will accrue in value over time and enhance the quality of their lives every day. For all their potential merit, gold bars, corporate certificates and commodity shares cannot provide the same satisfaction as living with a never to be reproduced work of art. Reuters’ observations in a recent article concur with my own, “Many of these families who have been holding gold for a decade or more … are now taking profits and putting the money to work in the art market.” (10/12/11). When displayed on the wall or under glass on tabletops, art-level antique Oriental rugs reveal their true grandeur and their profound adherence to the principles of balance and harmony. Rotating them with rugs held in storage refreshes the visual presentation. Out of harm’s way, the life and value of art-level antique rugs will be extended indefinitely. As I finish this article, I again look up at the monumental Bakshaish carpet above my desk. Its creators are unknown, yet their artistic vision touches my feelings and sets my mind to wonder. I experience a sense of inner satisfaction, recognizing how grateful I am that my life’s work has been to introduce the profound artistry of art-level oriental rugs to three decades of clients.